Classes will finish at 1.30pm to allow Parent/Teacher/Student Conferences to occur until 7.00pm. Have a wonderful time, girls and staff! Camp returns on Friday 14 June. This event is presented by the Parents and Friends Support Network. More details will be provided closer to the date. Camp concludes on Wednesday 17 July. The Parents and Friends Support Network presents this event. Further details will be available closer to the date. 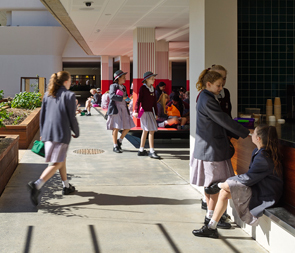 Catholic Education Week 2019 will be held from Sunday 28 July – Saturday 3 August. Best wishes to all students involved. The Rock Symphony Concert is an opportunity for the Rock Band to show why it is so acclaimed on the local music scene. 50 students will take part in this activity. All are warmly invited to join in the celebration of student achievements throughout the year.